The Uncle Mike's law enforcement Sentinel glove pouch is designed to attach to the duty belt. 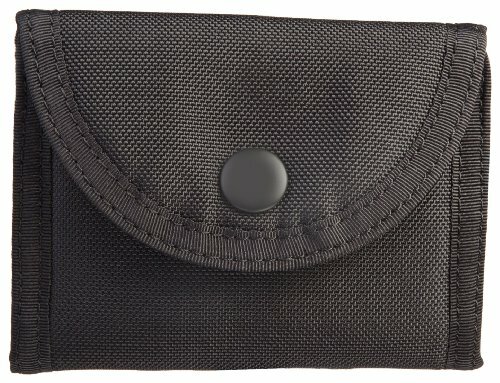 This Uncle Mike's LE pouch made of molded foam with a ballistic nylon outer shell and knit interior to prevent snagging gloves. Pouch for gloves from Uncle Mike's law enforcement features a nylon stiffener in the flap that makes it easier to open and helps to keep it's shape after continued use. Compact and comfortable to wear, the Sentinel glove pouches from Uncle Mike's LE are designed to be carried with you at all times.